Tuscany is a beautiful region in Italy, full of quaint old towns, stunning scenery and plenty of activities and attractions. Its beauty is just one of many reasons it is so popular with tourists. 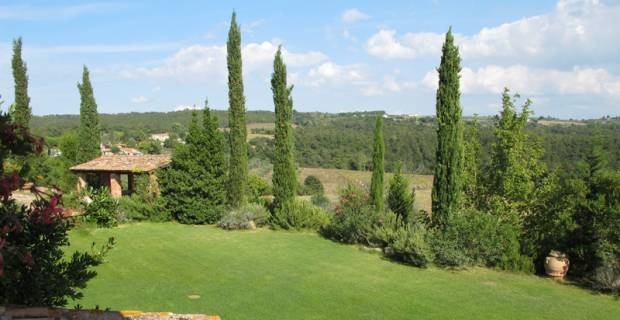 If you are planning a stay in the region, why not consider one of the many luxury holiday villas in Tuscany? Here is a look at some of our favourite luxury holiday villas in Tuscany. Bonci is located in the Chianti region. It's a beautiful villa set in a peaceful area - the perfect choice for a relaxing break. It sleeps up to eight people, having two double bedrooms and two twin bedrooms. This luxury villa is located around 2 miles from Pianella, where you will find the closest shops, and about an hour drive away from Florence. The villa is traditionally decorated and comes with a small swimming pool, barbecue and parking. It also offers maid service, chef service and babysitting services (at an extra cost). Based on four people sharing for one week, the villa costs £1,700. Camerata Fiorentina is located in Florence. It's a stunning villa that can sleep up to six people in its three double bedrooms. It is traditional with modern touches and has lots of history. There is concierge available 24 hours a day, seven days a week. Facilities include TVs in every bedroom and sitting room, internet, satellite TV and much more. There is also an English speaking porter, security systems and it is pet friendly. At extra cost, you can take advantage of a range of other services, including babysitters, chefs, valet parking, personal shoppers and the use of a Porsche Carrera. The villa costs around £6,500 a week. If these villas are a little beyond your budget, there are many more luxury holiday villas in Tuscany that are well worth a look. Tuscany is a large region and has many good options in both towns and the countryside. Some will be modern and some will be very traditional, so there is plenty of variety to suit even the most discerning of traveller.